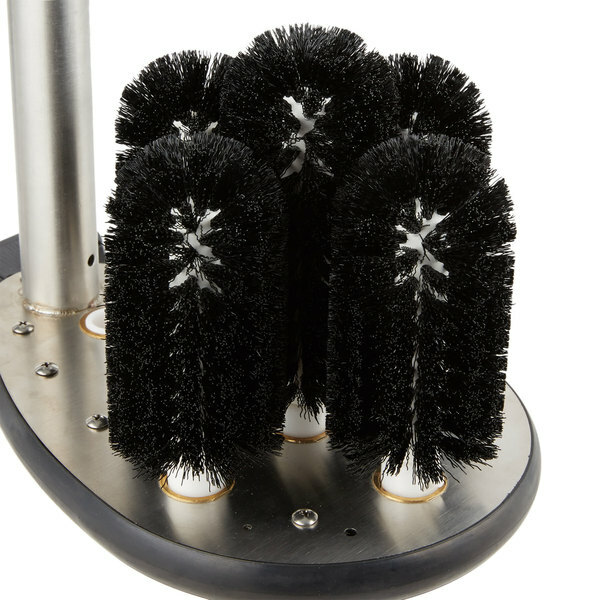 Thoroughly clean glassware with this Noble Products bar brush kit. 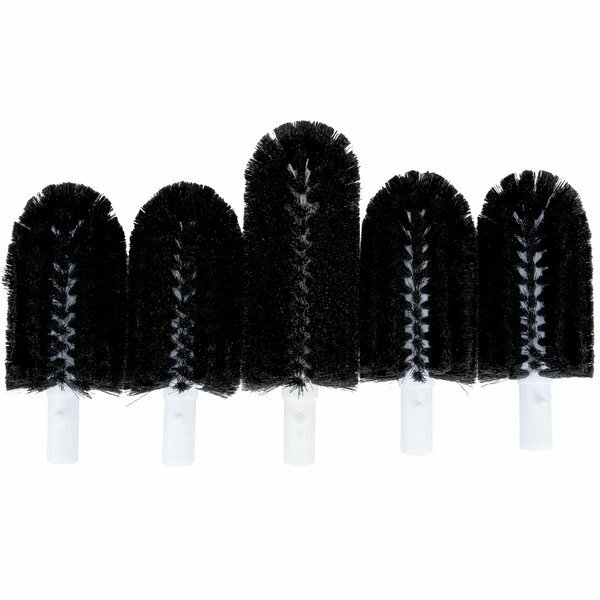 Great for cleaning glasses prior to running them through the dishwasher, this Noble Products replacement bar brush kit features a total of five replacement brushes for use with automatic bar glass washers. With the convenience of replacement brushes, you can switch out old brushes periodically to ensure you're getting glasses squeaky clean every time. "This noble products bar brush kit is a must have in your kitchen!! 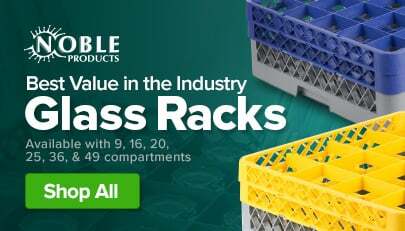 You will use it on a regular basis and they are sold at a great price." 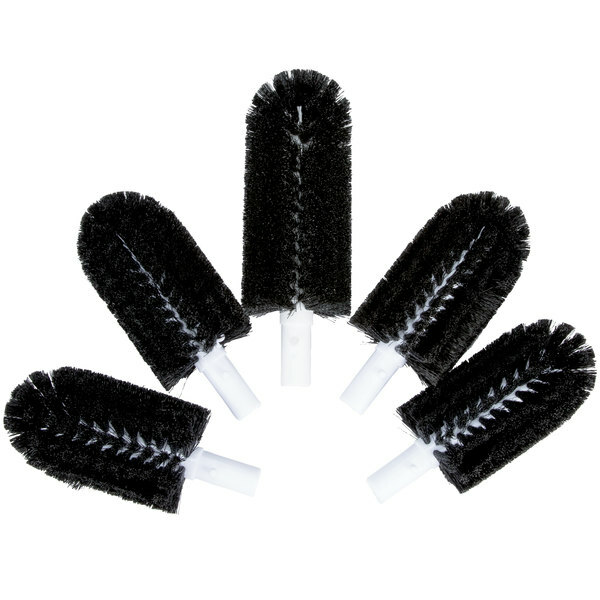 Featuring (1) 7 1/2'' and (4) 6'' brushes, which will fit with the appropriate Bar Maid and Adcraft units, this replacement kit allows you to easily wash tall and short glasses. 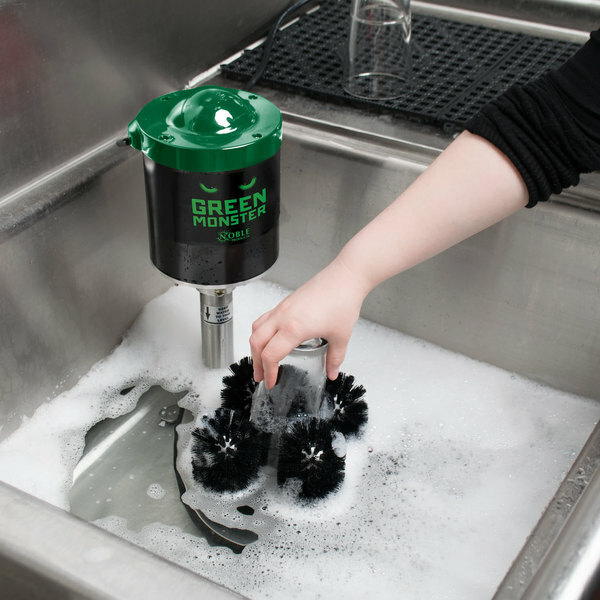 It is also designed to work flawlessly with Noble Products Green Monster electric glass washer! With the convenience of purchasing multiple brushes at once, you'll always have a replacement brush on hand when you need it. 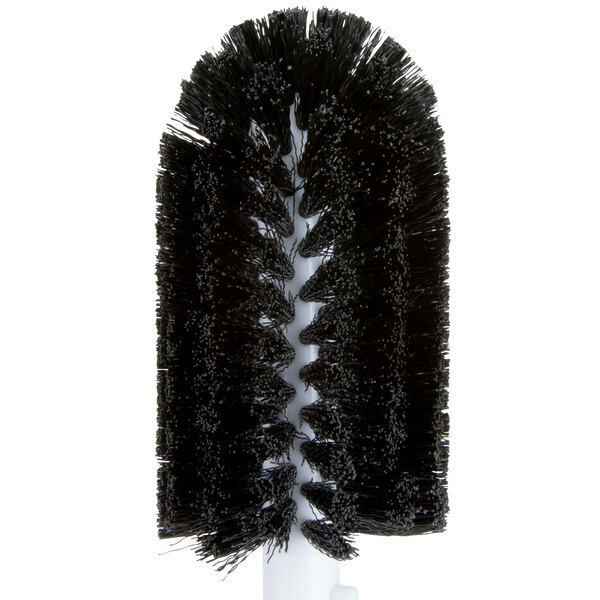 Designed for tough, commercial use, the black polyester bristles will accommodate glasses of virtually any size or design. Rounded brush head prevents chipping while you are cleaning glasses so you can confidently the inside and rim of glasses. 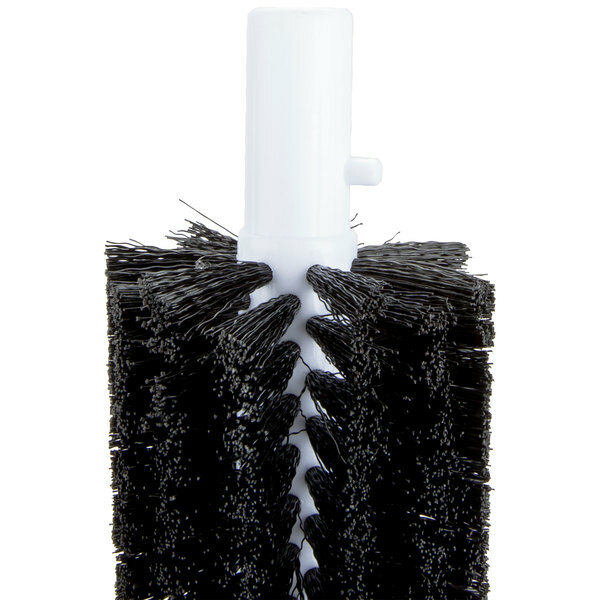 Each brush can be removed and inserted back into an existing base to easily switch out brushes. These brushes are light weight in construction and slim in design, allowing for simple storage when not in use. An essential tool to clean glassware, this triple bar glass washer plays an important role in your restaurant, cafe, or bar's washing and sanitizing system. Unfortunately these brushes don't seem to hold up very long. It will be expected to lose a few bristles with first use, but the stiffness seems to be deteriorating quickly. Thank you for your review, Christopher! We are sorry this Noble Products 7 1/2 inch and 6 inch Replacement Glass Washer Brush Kit for Electric Washers has not worked well for you. A Customer Solutions Representative will contact you soon! No need to pay a lot of money for the OEM part. These brushes work just as good. We have had them over a year now and they are still going strong. Need these extra bushes, keep them fresh makes cleaning bar glasses easier. But watch out and make sure they will fit your unit, if not they will cost more to return then to just keep. This noble products bar brush kit is a must have in your kitchen!! You will use it on a regular basis and they are sold at a great price. Talk about a life saver!! These brushes fit perfectly onto our sink cleaning kit. Our employees love how easy they are to replace and how easy the glasses come clean! 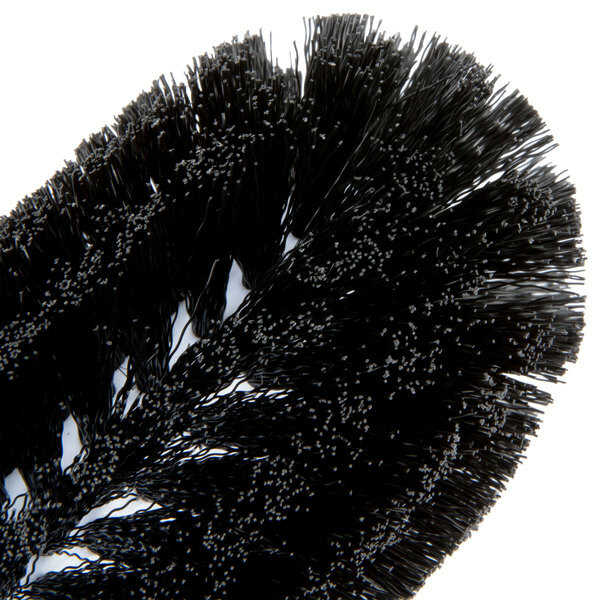 We use these brushes all day long on regular glasses as well as wine glasses and they work great. They hold up to a lot of wear.